New Nissan keys made by Nissan enthusiasts! Are you looking to find a locksmith in Dallas who specializes in making Nissan keys? Here at Dallas FW Locksmith we have been specializing in Nissan keys cut for nearly a decade. Over the years we have made keys for some of the oldest Classic Datsun trucks all the way up to the latest Nissan Skyline. When it comes to making Nissan keys no job is too small or too big. Nissan keys cut at your door! Satisfaction guaranteed. All the right Nissan blank keys and tools to get the job done right. With all of the right tools and Nissan blank keys in stock, you will get the best new keys made for Nissan possible because our locksmith vans are fully stocked with all of the latest in Nissan key making! We make Nissan keys for every Nissan and Datsun imaginable. Don’t see a model Nissan that you own? Don’t worry, we make keys for all Nissan models ever produced. We are your Nissan locksmith in Dallas Texas. To get new keys made for Nissan call us now at (214)997-4611. 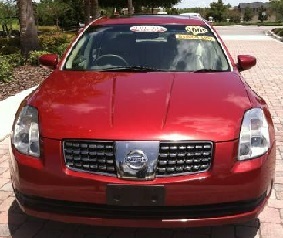 Nissan http://dallasfwlocksmith.com/nissan-keys/ 4.2/5 based upon 24 reviews.